Should other area grocers be worried? The massive prepared foods area inside Whole Foods. We're just shy of the one-year mark of Amazon's $13.7 billion purchase of Whole Foods, an announcement which, at the time, made a lot of people curious: Does that mean I can get my groceries delivered on Amazon Prime? Today in Philadelphia and a few other U.S. cities, the answer is yes. Amazon announced that Amazon Prime members who order Whole Foods online can expect delivery within two hours -- for free. The service is similar to but differs from other grocery delivery services such as Peapod, Instacart, and FreshDirect, where groceries can be delivered, though typically with a $5-$10 delivery and service fee attached (unless you're a paying, annual member, which Instacart offers). The new Amazon Whole Foods delivery eliminates the delivery fee for Prime members who already pay the $119 annual membership fee, which more than 100 million people already do. First in place in about a dozen "test" cities, the Whole Foods delivery service is now officially available in Philadelphia, as well as Boston and Baltimore, today. The announcement comes just shortly after the Internet giant announced that Prime members would save 10 percent off Whole Foods sale items. The delivery service applies to orders of $35 or more. Though the two-hour delivery window is free, there is a $7.99 charge if you want the groceries within the hour. Delivery is available daily from 8 a.m. to 10 p.m through primenow.com. The discount applies only to Prime members. Since taking over Whole Foods, Amazon has also cut some prices at the notoriously expensive supermarket. The most recent round of price cuts was November 2017, applying the cut to some poultry, salad, and dairy products. 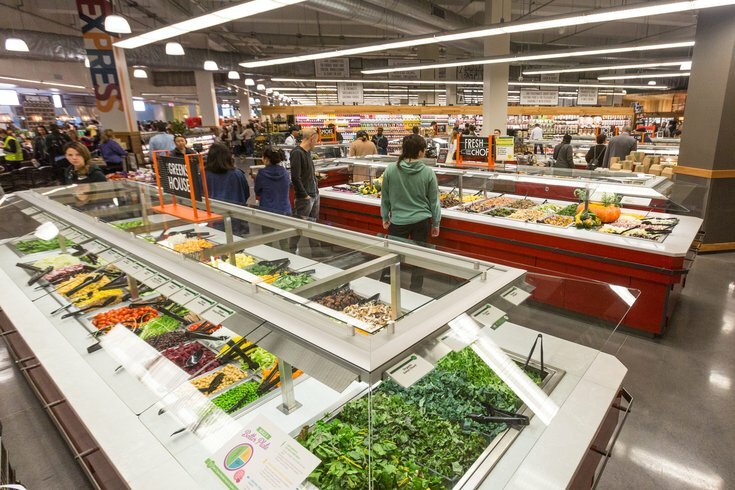 The new service also further perpetuates business worries felt by other Philadelphia-area grocers, which have revved up delivery service options with online partners in the year since Amazon purchased Whole Foods. Shortly after the purchase, many more locations of Wegmans and Acme joined Instacart, while Giant partnered with Peapod and ShopRite introducing its own ShopRite from Home initiative.